Karela Atho, Ready to eat! Given a bag of fresh karelas/parikkai, I wanted to make something new and different with them; thus Karela Atho was created! If you love bitter melons, this is a fabulous recipe. If karela/bitter melon is not your thing, try making this with zucchini; Zucchini Atho makes fabulous eats! If making Zucchini Atho, cook the zucchini briefly so they do not get mushy. Karela (Parikkai/Bitter Melon) Atho is packed with protein from the peanuts and the aromatic sesame. The combination of the sweet caramelized onions, smoky tomatoes and the rest of the ingredients combine to minimize the bitterness of bittermelons/karelas and produce an amazingly delectable dish. Tried, tested, and terrific! Note: Almonds/cashews may be substituted for the peanuts if you have a peanut alergy. Toast the sesame in a dry skillet until golden and let cool. Roast the peanuts also if they are raw. Cool completely. Pound the sesame seeds first using a mortar and pestle until they are crushed well; add the peanuts and crush them coarsely. If made ahead, keep in an airtight container until needed. Wash all the veggies; thinly slice the onion, mince the garlic, and thinly slice the karelas/bitter melon. Broil, roast or grill the tomatoes until their skins char and blister. When cool enough to handle, peel and strain out the seeds. Coarsely chop the tomatoes and reserve along with the juices until needed. Heat 2 tablespoons of the oil in the kadai/skillet and add the onions with a pinch of salt and cook until caramelized and golden brown - they should be on the crispy side; watch carefully as they burn easily at the last stage. Stir in the red pepper and coriander, cook stirring for a minute, and remove from heat. Remove the onions to a bowl and set aside; leave any extra oil in the pan. In the same kadai/skillet and add the rest of the oil and heat. Tip in the karela with the turmeric, salt, asafetida, and the jaggery/sugar; cook until tender stirring occasionally adding a tiny sprinkle of water only if necessary. When karela is tender, tip the onion mixture, tomatoes and half of the cilantro into the kadai/skillet and mix well and turn off the heat. Mix well. Stir in the nuts and sesame into the karela reserving a pinch or two of the nuts and seeds for garnish. Let the Karela Atho rest for at least 15 to 30 minutes to let all the flavors meld and marry; it is actually tastier the next day! Serve hot or warm garnished with the rest of the cilantro, nuts and seeds with rice/roti and dal. Kollu Rasam is a delicious light soup often served during cold and cough season for its power in assuaging the winter blahs. 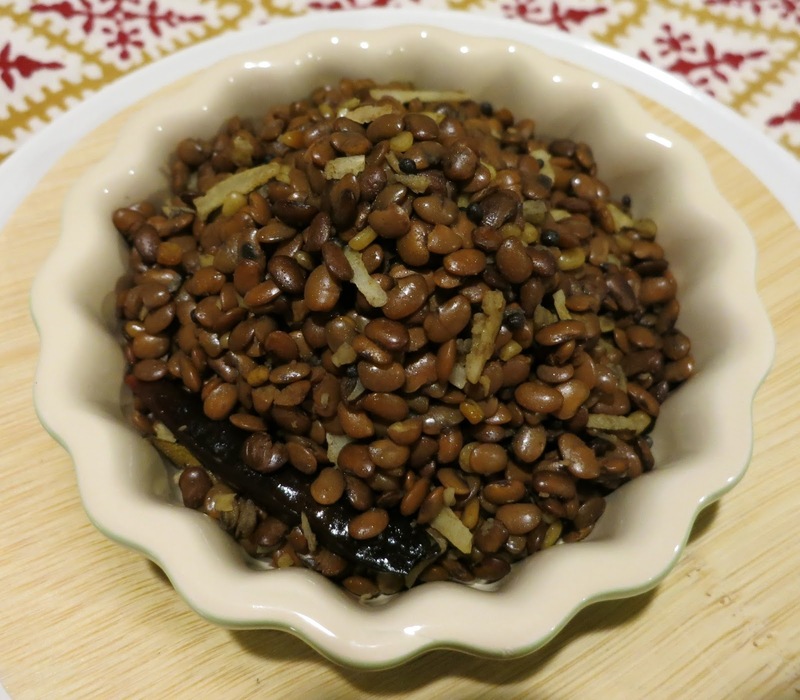 Kollu or Horse Gram, a legume, is considered very strength-giving and helpful in cold and cough relief as well as maintaining fitness. It is not surprising that kollu is recommended for maintaining fitness; as with other beans, kollu is rich is fiber and keeps one feeling full longer. Kollu Rasam is a bonus dish when making other kollu dishes like Kollu Thoran or Puzhukku; decant the excess broth from cooking the kollu and voila! you have the magic ingredient for a lovely new recipe! Kollu Rasam is similar to other rasams like Jeera Charu, Lemongrass Rasam, Everyday Rasam, Amma Rasam, and Lemon-Lime Rasam. NOTE: Tamarind gives the rasam a lovely tang; if tamarind is not available, add lime or lemon juice to taste. If using lime or lemon, do use the optional jaggery as it mellows the acidity. If fresh tomatoes are not an option, canned or dried tomatoes work well. Click here for soaking and cooking the kollu. 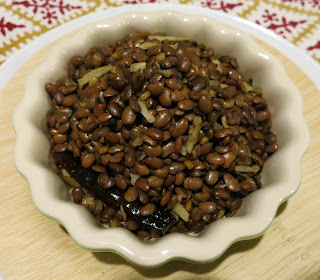 Cook the kollu/horsegram with 3 cups of water in a pan or pressure cooker. Decant the cooking broth and set aside; reserve the kollu for Thoran or Puzhukku. If using dried tamarind, soak tamarind in 1/2 cup of warm water for 15 minutes. Knead and discard any shell pieces, seeds and fiber; make a puree using a blender and set aside. Heat oil in a pan and add mustard seeds, cumin and cook untill it starts to pop; and the curry leaves. Add in one medium chopped tomato. Add in the salt. Add in the tamarind puree, pepper, jaggery and rasam powder. Let it simmer on low flame for 10 minutes or untill the tomatoes are soft. Add in the kollu/horsegram broth. Add enough fresh water to make the total quantity of rasam one quart or litre. Cook for a few minutes on low-medium heat until rasam begins to foam. Sprinkle the coriander leaves. Remove off heat. Cover and let rest for a few minutes. Serve hot with rice, serve in a cup or mug as part of the meal, as a starter/appetizer, or at the end of the meal! Kollu Thoran/Sundal/Chundal is a delicious and delightful dish. This homey chundal is an everyday recipe and not served for festivals or special occasions. I love savory chundals any time of the day; as snacks or part of a meal. Most whole beans or split legumes may also be used to make chundals, like one of my all time favorite brown chick pea chundal. Dried peas and split legume chundals taste great with a squeeze of lime/lemon. Although traditionally chundals are made with unsprouted dried legumes, I like to make them with sprouts also. If you have sprouts on hand, it takes just a few minutes to make nutritious and delicious chundal. NOTE: Do reserve the cooking broth for making delicious Kollu Rasam; it is an awesome treat and so worth the few minutes it takes to make it! Sort to pick out foreign objects such as stones and debris, wash, and soak for about 6 hours or overnight in plenty of fresh water in a large bowl or container. Drain, rinse and add fresh water to cover. Bring to a boil, and simmer until soft but not mushy. A pressure cooker makes the cooking very quick. Drain and cool; do reserve the broth for Kollu Rasam or other soups - it is a rich source of soluble fiber, vitamins, and minerals. If using sprouted beans, cook them in water as mentioned above or steam or just use raw with the seasonings and cook for a few minutes longer until done. Heat oil in a large kadai (Indian wok) or skillet and add the mustard seeds, urad dal and red chiles. When the mustard starts to pop and the dal is turning pink, stir in asafoetida. Quickly add the coconut pieces, the curry leaves, and the cooked kollu or the raw sprouts along with the salt. Heat stirring for a few minutes until dry and well mixed. (Add a pinch of turmeric if using raw sprouts and cook until tender with a sprinkle of two of water). Remove the chiles before serving so no one chews on them inadvertently; chiles, other whole spices, or even curry leaves are not generally eaten unless the diner specifically wishes to do so. Serve hot, warm or at room temperature with rice, breads, curries, etc or as a snack. Enjoy!! Fresh peas are showcased in this saffron-scented mild pulav! A simple and easy recipe, awesome accompanied by succulent Chopped Salad, roasted papadums, chutneys or pickles. Most saucy curries are delicious served alongside - try Okra (Bindi)-Capsicum Salaan, Aviyal, Korma, any bean dishes like Chole or Rajma, etc. If fresh ones are not an option, use frozen or cooked rehydrated dried peas. Keep the chiles whole for a mild pulav and fish them out and discard before serving; another option is to core and mince the chiles, or use a bell pepper. Keep the core and seeds for a spicy dish. Do add the mint and cilantro for a delicious pulav; when cooked, mint imparts a lovely mellow flavor. If you wish the peas to remain bright green, saute them in a tiny bit of oil and a sprinkling of water if needed; cook stirring and shaking uncovered for just a couple of minutes or until done to your taste. Season with a pinch of salt and add to the rice before serving. Soak the saffron in a little warm water - about 2 tablespoons - in a small bowl. Heat the oil in a large pan with a lid (a 3-4 quart/liter size will work nicely); swirl to coat the bottom of the pan with oil. When the oil is hot, stir in fennel & cumin seeds, cardamoms, cloves, cinnamon, and bay leaf and let the spices sizzle for about 30 seconds. Stir in the ground pepper. Tip the onion into the pan and cook until onions are translucent and soft. Add the green chiles/bell pepper, ginger and cook for about one or two minutes. Stir in the ground coriander, garam masala and salt and carefully add the boiling water. Add the rice, stir to mix well, and bring back to a boil. Distribute the cilantro and mint evenly over the rice on top. Turn the heat down to low, cover the pan with a well fitting lid and cook the pulav undisturbed for 10 minutes. Turn off the heat, drizzle saffron water along with any strands of saffron, sprinkle the peas on top, cover again and let rest for 10 minutes. Gently fluff the rice. Garnish with the nuts and herbs, serve hot with your favorite accompaniments. Enjoy! !